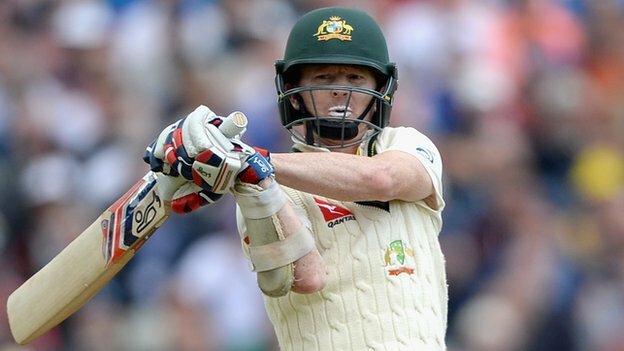 Sydney, Australia (BBN)-Australia batsman Chris Rogers has confirmed he will retire from Test cricket at the end of the Ashes series. The 37-year-old will step down after the fifth Test at The Oval, which will be his 25th match for his country, reports BBC. “I have had an amazing couple of years playing for Australia and been part of some pretty special things – but everything comes to an end,” he said. Rogers, who has represented four counties in England, has scored 1,972 Test runs at an average of 42.86. He is the tourists’ leading run-scorer in this series, with 437 runs at 62.42, and joins captain Michael Clarke in confirming the fifth Test will be his last. Rogers made his debut for Australia against India in 2008 but was dropped after making just four and 15 in that match. He was not re-selected until 2013 when, at the age of 35, he was picked as an opener for the Ashes series in England on the back of his strong form for Middlesex. Rogers made his first century at Chester-le-Street in that series, and then scored two more as Australia regained the Ashes with a 5-0 series win in 2013-14. Earlier this year, Rogers hit a record-equalling seven consecutive Test fifties, but his career was briefly interrupted by a concussion that saw him miss both of Australia’s Tests in the West Indies in June. “You are never 100% sure but I felt like this was the last one, there’s been a few things, particularly the head issues lately. I am quite happy to call it a day,” Rogers said.